Add charming style and comfort to ordinary kitchen appliance handles with cat appliance handle covers. As practical as they are decorative, oven and fridge handle covers protect handles from fingerprints, grime and scratches. Simply slip around refrigerator and oven handles and secure with hook-and-loop closures. 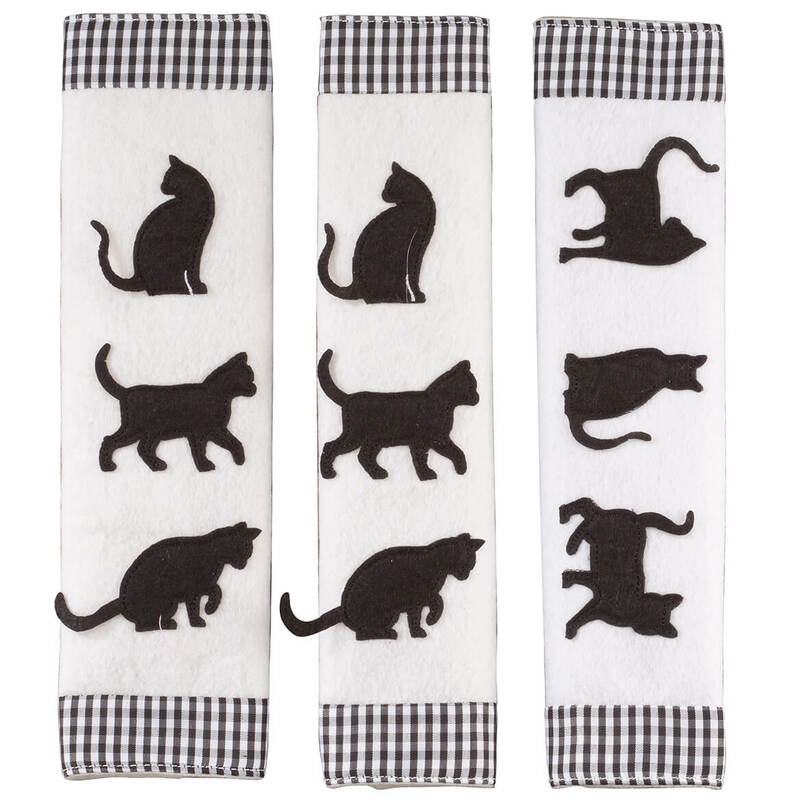 Pretty design features black cat silhouettes and gingham borders. 3-piece set; each 11 1/2″ long x 7 1/2″ wide. Polyester. Hand wash.